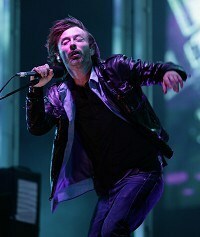 Radiohead are to perform their new album in its entirety for a special BBC broadcast. The band's latest release, The King Of Limbs, will be played as part of the BBC's From The Basement series, according to nme.com. Their long-time producer, Nigel Godrich, will be in charge of producing the show, which will reportedly air on July 1. It is not yet known which BBC channel will screen the performance, which will be the first time the five-piece have played many of the tracks live. The King Of Limbs was released physically in February, and is at number seven in the UK albums chart. It is the group's eighth studio album.